Fence it is a family run business providing products such as Palisade and Mesh security fencing for commercial use. We also cater for the domestic market supplying PVC and WPC panel fencing, ranch fencing and assorted colours of composite decking. We also deliver nationwide. All our products are of the finest quality, ensuring long life and low maintenance. Please feel free to give us a call if you require more information. Opening hours: Monday - Friday 9-5 Evenings and Weekend by appointment only. Fenceit are suppliers of all types of fencing – be it for domestic or commercial use. We also supply durable WPC decking in a variety of colours, at affordable prices. We can supply and fit nationwide. Clare Ironcraft designs, manufactures and installs a range of quality gates and railings vary in style from the traditional to the contemporary. Since 1933, Walpole Outdoors has been the standard for handcrafted outdoor products, answering the needs of homeowners and professionals alike with an unsurpassed variety of styles and custom designs. Today, Walpole maintains its position as the preeminent fence company through a commitment to working with customers and by applying new techniques and technologies to ensure that the end result more than meets their expectations. 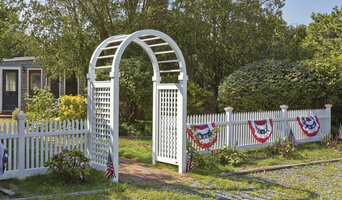 Walpole’s innovations include the introduction of rustic, post and rail, and straight edge fence. It also pioneered a top quality fence staining process. This advanced technique is superior to staining after installation and eliminates mess in customers’ yards and gardens. Walpole also designed and manufactures LifeGuardTM posts to help increase the longevity of its fence. The engineering department at Walpole is the most advanced in the fence industry. Every order is reviewed by these professionals for manufacturing accuracy. In more technical custom work, engineers use high-tech CAD systems to produce detailed drawings. Customers then have an exact representation of how their project will look when installed. In addition, many Walpole products are offered in wood alternative modern cellular PVC. This long-lasting, low maintenance material has the look and feel of natural wood, yet won’t rot, split, or warp. Walpole is the largest fabricator of modern cellular PVC in the country. Rockweld is an exciting new venture by Prospect Contractors! 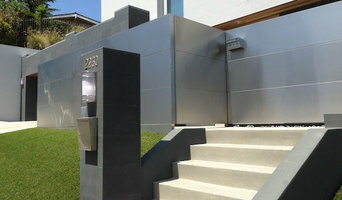 We design and install Rockweld fences, seats, feature walls and more! 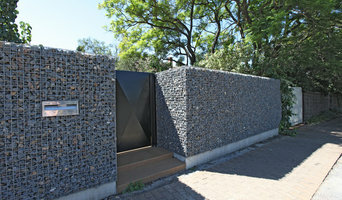 All our products are constructed out of weldmesh with rock or stone fill. We supply and install to all home and business owners. WE OFFER A MORE ADVANCED AND HIGHLY ENGINEERED PRODUCT. Superior Concrete Walls delivers the best looking, most efficient, most cost effective and well-rounded precast concrete fence wall system to the market. Our designer precast concrete fences have been developed to suit the needs of developers, builders, architects, engineers, public works, and utility companies. Unlike traditional tilt-up fencing, our walls are textured and profiled on both sides and includes columns and column caps to provide a superior look. Utilising the latest technology our concrete fence walls are produced on our own premises in a controlled environment with only the finest materials. All of our concrete is made by commercial concrete companies with a minimum strength design of 50mpa. All Access Fence & Fabrication provides an extensive line of affordable residential and commercial Fence solutions. Wood, Chainlink, Iron and Vinyl Fence. Our Fabrication Division provides Fence and Handrail in Iron, Aluminum, Stainless, Brass, and Copper We have the expertise to guide you through your fencing project from start to finish. Our professional estimators will assist you with design and installation options. Our experienced professional installers will build you a quality project that you will be proud to display. All Access Fence & Fabrication strives to offer competitive pricing, quality materials and workmanship and excellent customer service. And all quotes and estimates are FREE! We operate all over lower mainland for cedar fence installs as well as a wide variety of deck install options. We are the only preferred contractor for Rona / Lowes across the lower mainland for fence and decking. We have been in business since 2010 and currently have a 5 star review ranking on google which we strive to uphold. Mr. FENCE has over 20 years of fence experience. A company committed to excellence, Mr. FENCE is always ahead of the competition. We are members of the Better Business Bureau, the American Fence Association, and the Southwestern Indiana Builders Association. Our membership in these organizations enables us to provide our customers with the most knowledgeable staff in the area. At Mr. FENCE our highly trained specialized crews install only the finest quality materials per the manufacturers’ installation recommendations. Mr. FENCE is dedicated to offering the highest quality service and products at competitive prices. A quality product (fence, dock, deck, hand railing, pergola, gate) from Mr. FENCE is a mark of distinction. ID Clôture est née de l'émulsion entre la technicité et la passion. Nos solutions sont sur mesures et nous vous accompagnons de la conception jusqu'à la réalisation et l'installation de votre projet. ID Clôture, c'est plus de 20 années d'experience à votre service et plus de 1000 chantiers livrés. Soucieux de répondre davantage aux besoins et attentes de nos clients, nous avons crée un show-room entièrement dédié aux menuiseries extérieures : - Portails aluminium - Portes de garage - Volets battants aluminium (motorisés ou non) - Terrasses - Brise-vues - Maçonnerie (clôtures, piliers, terrasses...) Vous satisfaire par la qualité de nos produits et la réalisation de vos projets, telle est notre priorité ! Confiez-vous vos rêves, nous réalisons votre projet. Sunrise Custom Fence East Inc. offers a broad range of expertly designed and installed fences. Staffed by highly skilled service professionals, Sunrise Custom Fence East Inc. will fix, repair or install a new fence for your home or property quickly, efficiently and with an unconditional guarantee on workmanship and quality. Tell us about your project online or call us for all your fencing needs! The same applies to gates, which are even harder to build and install yourself, unless you are a practised carpenter, craftsman or builder. So if you want one-of-a-kind fence and gate designs that can be fitted by professionals, or perhaps just fence repair, then you should take a look at the gate manufacturers and fencing contractors listed on Houzz. With Houzz you can browse through gate manufacturers and fencing contractors to find a professional to work on your project. Check reviews, recommendations, ratings and photos of their previous work to decide if you want to contact them about your fence or gate. 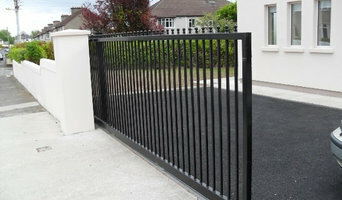 Gate and fencing contractors will be able to advise you on the best materials to use and how to look after your fencing. Aside from designing, building and installing your fence or gate, a specialist may also offer fencing supplies, materials and fence repair services which will help you maintain your bespoke fencing and gate designs. Whether you are looking to build a traditional wood panel fence, commission an elaborate wrought iron gate, want a quaint white picket fence or a large, electric gate to shield your home from public view, you’ll be able to find gate or fencing contractors on Houzz that have the specialist expertise to carry out the job. You may find that gate and fencing contractors also work closely with lawn and landscape professionals. Here are some related professionals and vendors to complement the work of fencing & gates: Wrought Iron Workers, Decks, Patios, Sheds & Summerhouses, Cladding & Exterior Contractors, Landscape Contractors, Landscape Architects & Garden Designers. If you already have some garden fencing ideas or even gate designs, then discuss these with your potential fencing contractors to see if they can become a reality. You may find they have to be tweaked slightly, perhaps due to budget, space or planning restrictions, but good fencing contractors will be able to come up with a compromise to meet every need or constraint. Find gate and fencing contractors on Houzz. 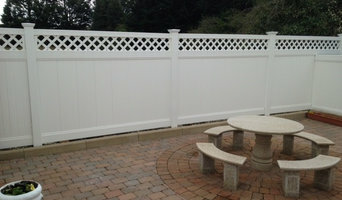 Narrow your search in the Professionals section of the website to gate and fencing contractors. You can also look through photos to find examples of fencing and gates that you like, then contact the contractor who worked on them.